A wise man once said that the way to a man’s heart it through his stomach. Another wise man once said give a man a cookie and keep him happy for a minute, teach a man to cookie and keep him happy forever. This man was apparently so busy being wise, that he didn’t have time to write his name down for our admiration. My kind sister Mary was nice enough to send me the complete idiots guide to baking cookies. What I essentially learned is that cookies are so good because they are basically made up of sugar, butter and as many chocolate chips as you see fit…surprise, surprise! Now, whether it’s driving or putting together a piece of furniture from Ikea, we all know that men are often too stubborn to ask for or follow directions. I am certainly more than guilty of this…and proud of it. On the other hand, our female counterparts, often find it easier to ask for or follow directions without hurting their pride. I’ve noticed; however, all this turns on it’s head when it comes to baking/cooking. I am lost, scared, and hopeless without some recipe or directions to follow, whereas, my sisters and my mom seem to effortlessly whip up all sorts of delicious goodness without a single guideline. Inevitably, after living on my own, I’ve gotten fed up (no pun intended) with frozen pizzas, pasta, and bacon, so I’ve tried to make some improvements on my cuisine. I’m happy to say improvements are being very slowly made…or, in other words, I can now eat what I cook. Despite the little I’ve come to learn about cooking and baking, I’ve realized that it’s not an exact art – even on one of those really brutal cooking shows, like Top Chef. Sure, there are general guidelines given to provide a certain structure to the competition, but even with all the same ingredients, the cooks come up with wonderfully varied dishes. Once you get to now the general patterns in food, then you can experiment and develop different things from there. It’s just like colors. There are a few primary set’s of colors that all artists draw from and mix together to create a huge amount of other colors and tints to please the eye. It’s about knowing which colors go together to make new and exciting colors and, likewise, which foods and tastes go together to create new and exciting dishes to please the palate. 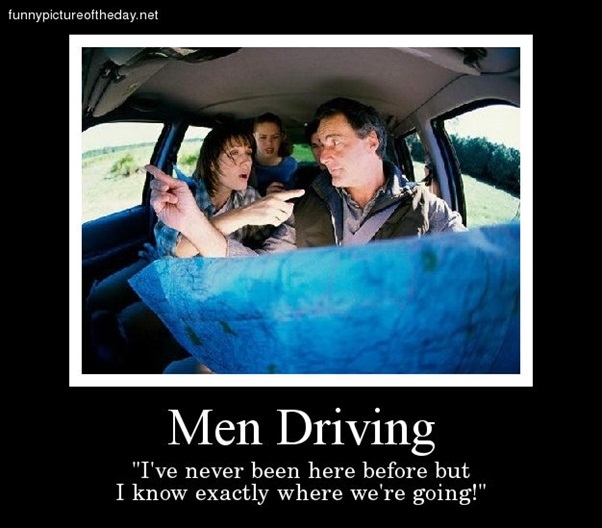 This makes me think that more men would be willing to cook if they knew they didn’t have to ask for directions! Do you want to know what else cooking is like? Yes, you guessed it: soccer. There are a few ingredients and basic principles that give a backbone to the entire sport. The “staple foods”, so to speak, which include things like players, a ball, goals, etc…. Out of those staples of the game come an endless number of outcomes; different formations, different styles and so on. Hundreds of thousands of unique players throughout the game, mixed together to make thousands of teams; each with their own special flavor. Spain has it’s “Tiki Taka” quick passing game that simultaneously dulls and tires the opponent until the opening presents itself and they pounce at just the right moment with a clinical execution and finish. Germany has recently developed it’s game into a high pressing, energetic and exciting brand of football; with the purpose of overpowering the opponent with constant surges of pressure and precision. How distinctly German. English football is known for it’s relentless pace, energy, and physicality and it’s inability to score penalty kicks when it really matters. Brazil are historically notorious for using their wonderful flair and trickery to beat the opponent. The coined the term Joga Bonito after all (The beautiful game). They, along with many of the South American countries, are also streetwise footballers, meaning that they find clever ways to bend the rules as well. This is actually meant to be a compliment not a criticism. In the past, Italy was famous for it’s “Catenaccio” football, which focused on defending strongly at all costs. Nowadays, these tactic are lauded as boring and “anti-football” by purists, but the value of a strong defensive unit is invaluable in modern football, nonetheless. All these are different versions of the same game, with the same ingredients and the same guidelines. Maybe that’s why we like sport so much, because just like painting, cooking, or writing it is an art form with an infinite number of possible outcomes. We are entranced with the variety of these outcomes and can be inspired by them as well. I guess that’s why we call it the beautiful game. 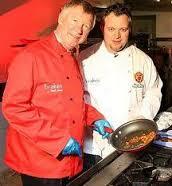 Clearly, the next logical conclusion to make here is that great managers/coaches are essentially great Chefs. Try telling that to the legendary Sir Alex Ferguson or Pep Guardiola, current manager of Bayern Munich, who are considered by many the best club team in the world. They might take as a complement of course, but they would probably miss the point. What they are good at; however, is being able to mix the right ingredients together in the form of players and tactics. The reason it can be so hard to do is that sometimes ingredients have a bad attitude and talk back – imagine if that happened in the kitchen! On the other side of the coin, as a player, you want to become an ingredient that can make any dish a bit better…you know, like bacon. Every player wants to be the bacon on the team. The bacon is more often than not, the MVP. The guy that stands out. However, you can’t have a team with just bacon and the best chefs know that. You also need those players that are the steak, the potatoes, and the greens. The standard and foundation to a team, the core. These players are a constant and rarely hurt the team, whereas, we all know that bacon is not always good for you. Well, that’s Cooking for Soccer 101 in a nutshell. I hope it provided you with some enlightenment about the beautiful game and some of it’s intricacies. I’ll admit there’s a bit of a stereotype here as well, because I know there are plenty of wonderful male chefs. I just happen to know far more who are not. 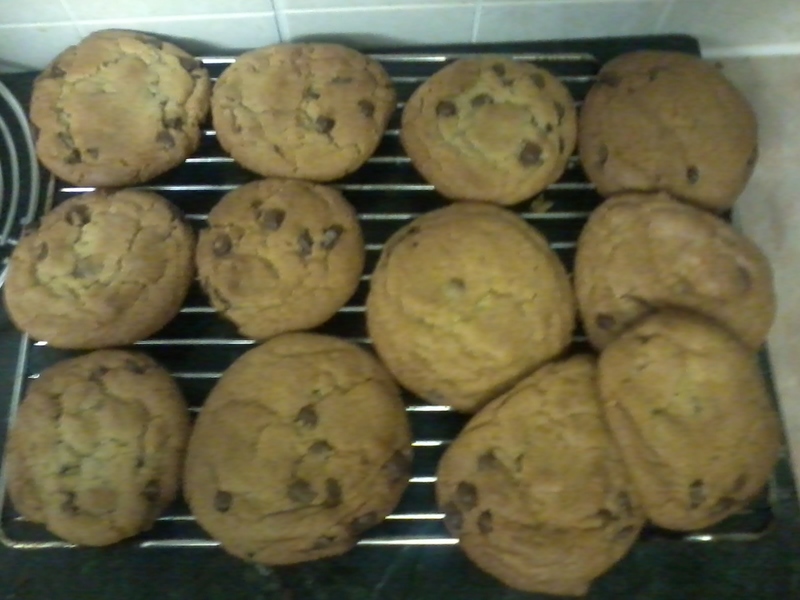 The important thing; however, is that you all know that I can now make myself a mean Chocolate Chip Cookie. I still won’t invite you over for the main course, but you’re welcome to dessert. Until the next meal, go head first. Thanks Kerry, I’ll admit, that’s my first blogger high five! Seano, an excellent investigation into some of the most important things in life! Great links too. Thanks! Yes, Choc Chip cookies are indeed of high importance. Seano, an excellent investigation into some of the best things in life.